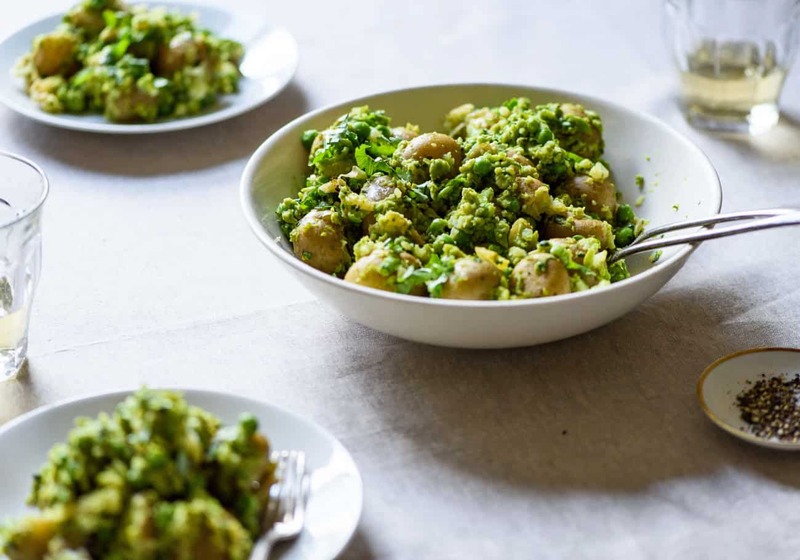 This gorgeous recipe for smashed new potatoes with peas comes from Yotam Ottolenghi’s latest book, Simple.Yotam Ottolenghi’s Simple was my favorite cookbook of 2018. Even before putting my hands on it, I was immediately drawn to the book because of the gorgeous cover, which features a wide-angle photo of a table set for a casual dinner party. 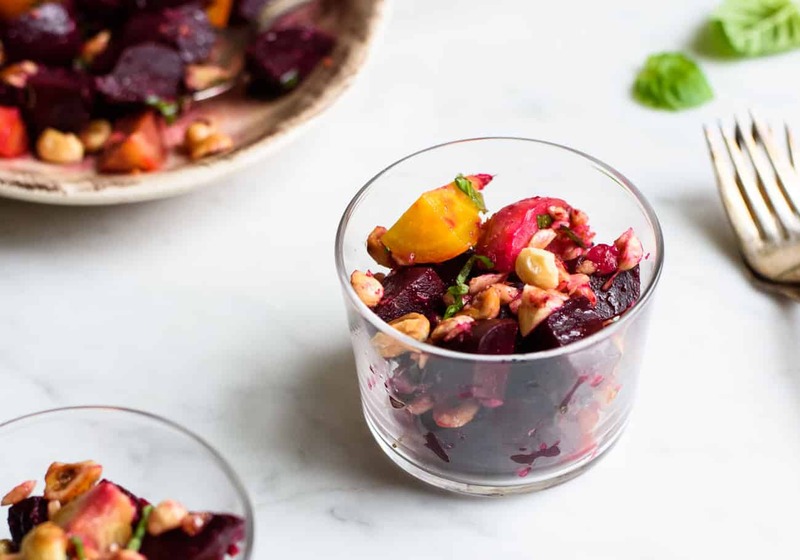 This is what I imagine Ottolenghi’s everyday life to be - a rolling montage of festive gatherings with beautiful food and friends laughing around the table. Who doesn’t want to be a part of that?The Israeli-born, . . . 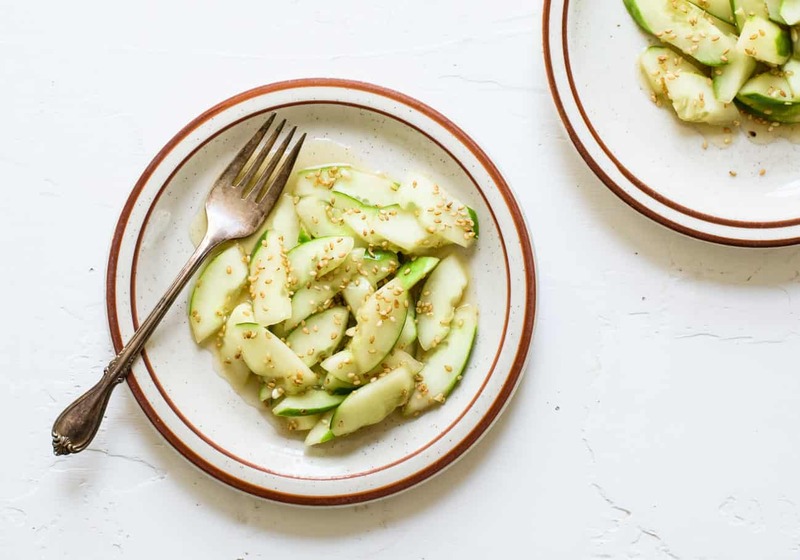 This easy Asian cucumber salad is a refreshing side dish made with just a few fridge door staples.This month marks one year since I moved to Syracuse. I remember back when I was still only considering the move, I was afraid that leaving NYC would be the death of me (OK, maybe not literally but pretty damn close). Nonetheless, I moved, didn’t die, and looking back on it today, I realize it’s one of the smartest things I’ve ever done.Granted, the first half of the year was miserable. I missed the energy of the city and the ability to take the train or walk . . . 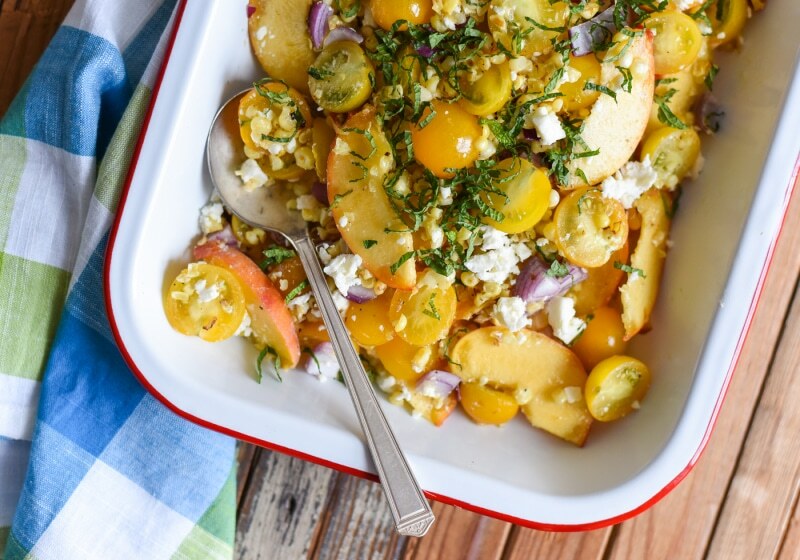 This refreshing corn, peach and tomato salad is designed to make seasonal ingredients sing. Make it for your next outdoor cookout!Rene and I had just spent a gorgeous day at the beach - complete with fried calamari and ice cream at our favorite ocean-view shack - and were driving back to the campground to start prepping a communal dinner with 20 or so of his closest Polish family friends. We stopped at a little farm-stand on the road to pick up some produce. I wasn't sure what I wanted to contribute to the meal, but seeing as it's been bright hot all day, we . . .
Wanna make an easy dip for your next party? 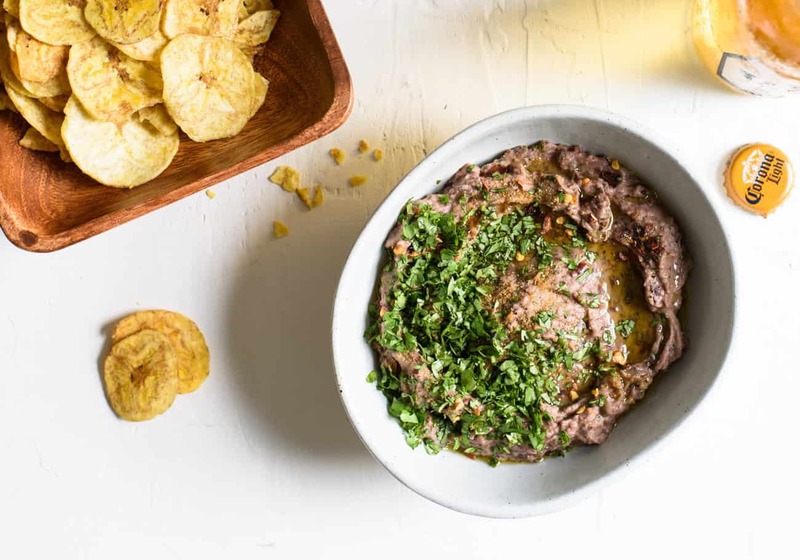 This vegan black bean dip is creamy, garlicky, and good for you, too.Whenever someone suggests bringing store-bought salsa to a party, my inner self shouts out a big “Noooo!” Jarred salsa freaks me out. Why is it that something that’s supposed to be made from fresh vegetables can just sit there in a jar on a store shelf for months? How can those limp tomatoes and odd bits of red skin be remotely appetizing? And why does store-bought salsa always taste surprisingly sweet?A part of me wants to apologize for sounding . . . 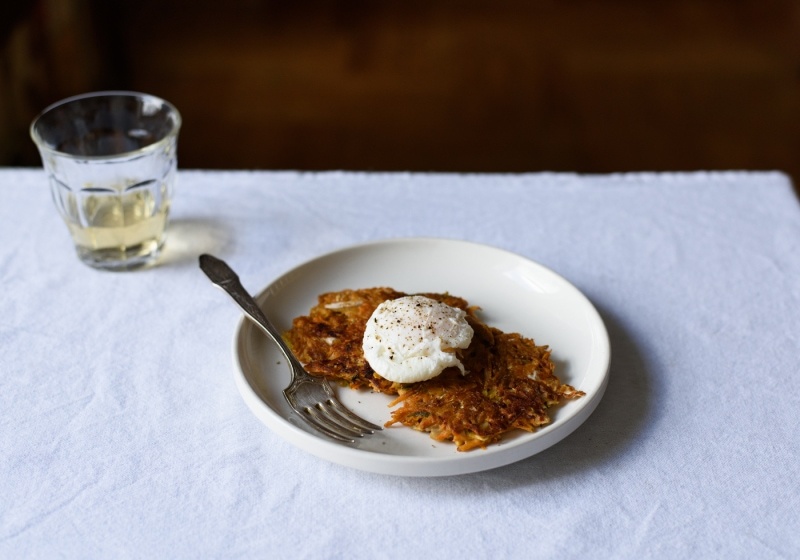 This past Monday I spent roughly four hours writing, cooking and photographing this kimchi pancakes recipe. Well, not exactly this recipe. I’ve been intrigued by savory pancakes lately and had a really specific version in mind. This fantasy pancake was sweet from sweet potatoes, funky from kimchi, and spiced with some of my favorite things, like garlic, ginger, scallions and soy sauce. It was ultimately topped with a runny egg and eaten with abandon. 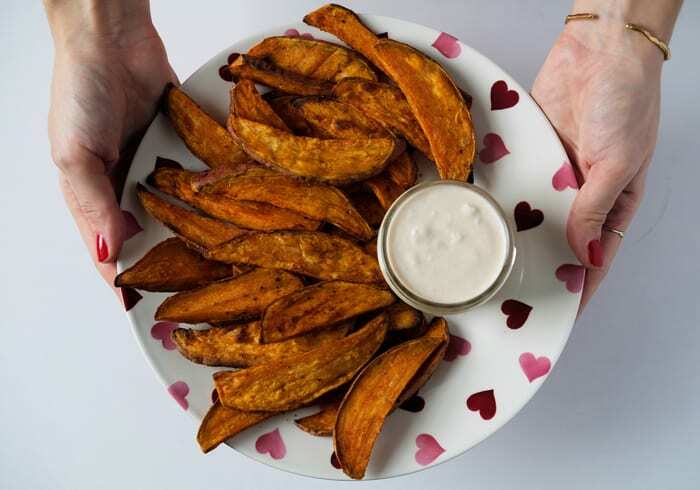 Mmm, food fantasies… anyone else have those?When I actually got to writing the recipe, I talked myself out of using . . .